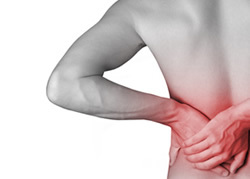 Fastrack Medical Services understand the importance of effective rehabilitation. First and foremost is the wellbeing of our clients. We ensure every individual receives a comprehensive assessment to ensure all avenues have been investigated and the appropriate treatment or therapy is provided. But equally important is the need to adhere to legal requirements, mitigate losses and aid the smooth running of personal injury cases. We have vast experience in this area and in combination with our growing panel of revered experts and specialists, you can rest assured that each case will get the attention it deserves. For added convenience, you’ll be given access to an Account Manager to help with queries outside of normal office hours. To find out more about our extensive range of rehabilitation services call Fastrack now on 0843 216 8001.